Making Pet Travel Pawesome: Pet travel has gone to the dogs and pet parents couldn’t be happier! Between working service animals on flights and more families including their 4-legged friends on vacations, dogs are travelling at record rates. 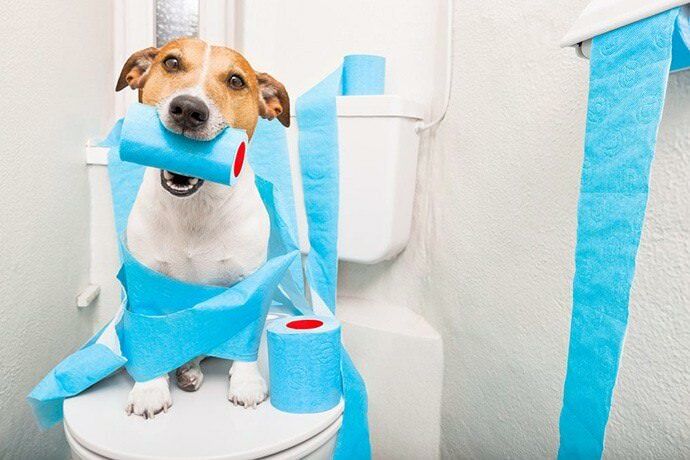 Travelers with service animals and pets know that the potty problem used to mean added airport stress; where will your dog relieve himself when in a time crunch to make your flight? 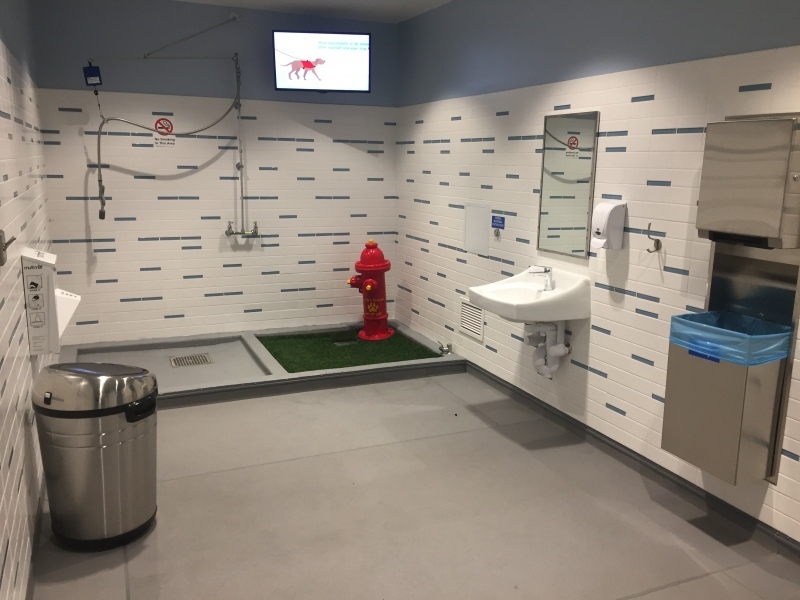 Thankfully airports now provide terminals with accessible animal relief areas which cater to the jet setting pooch. Dog-On-It-Parks is proud to lead the pack with design services and products that make travel more comfortable for dogs and their owners. 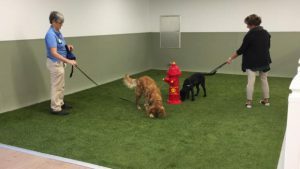 Two airports that we’ve outfitted (San Diego and Atlanta) were featured in the list of American Kennel Club’s Top 10 Most Dog Friendly Airports. We love making air travel easier for service animals and pets alike, and with just a few key items, any airport can provide a “pawsh” relief area for dogs. The Grass is Greener: One of the most important elements in a pet relief area is quality surfacing. One popular option is our PetGrass Pods; their short, dense blades allow for easy waste removal and the antimicrobial agents built into both the yarn and backing help to prevent odors. 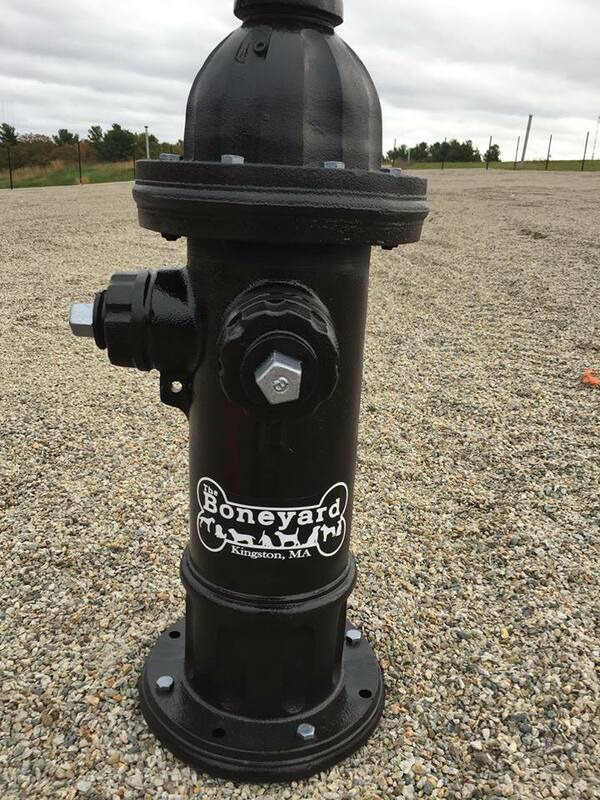 Available in standard in 50″ x 40″ squares or custom sizes, they snug together for easy installation and maintenance and typically cost less than a standard roll-style turf installation. Pods are a wonderful choice for high traffic areas, as they can easily be swapped around to manage wear and lifted to clean underneath. 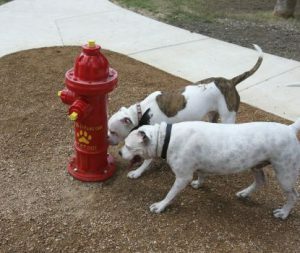 The addition of a Fire Hydrant is a fun touch, and provides a place for dogs to get an update on each other’s jet setting adventures. And don’t let your pooch become parched! 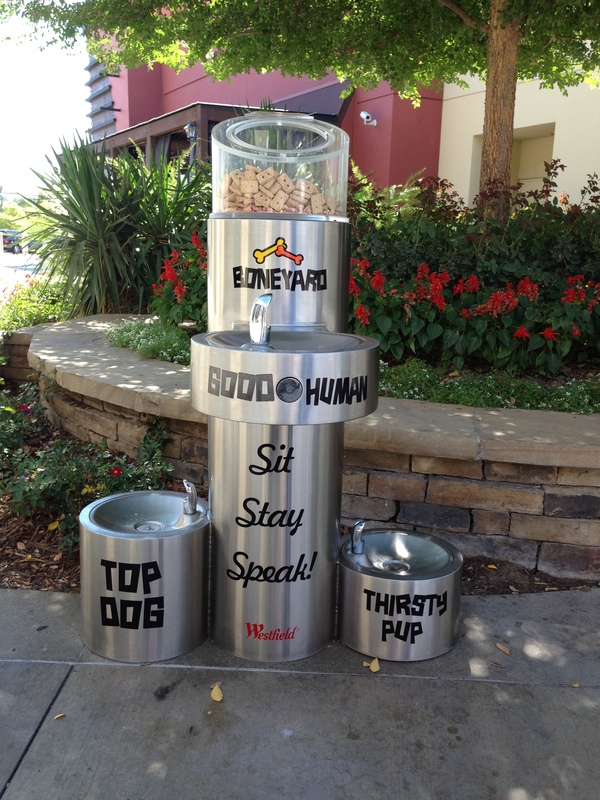 Providing hydration for dogs is very important, as they are more likely to become dehydrated while traveling. Our Pedestal Bottle Filler with Pet Bowl features a handy eco-friendly bottle filler as well as a pet bowl, so you don’t have to shell out top dollar for airport bottled water. Shopping and Adventuring in Style: Dogs aren’t only living the high life at airports. 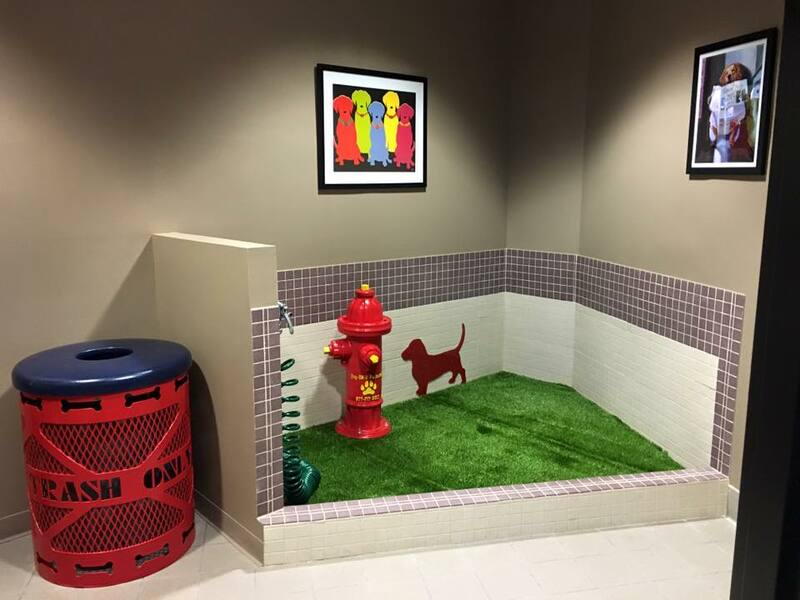 Many more public spaces such as malls, restaurants and retail establishments are welcoming our furry friends and proving pet-friendly areas for play, hydration, and relief. With a treat canister, built in waste bag dispenser and water bubblers galore, our Dream Fountain is a hit among pups everywhere and will keep customers coming back again and again. 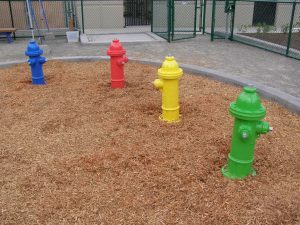 Lastly, adding a few select pieces of agility equipment will also help ensure that your public space is the place for dogs to see and be seen, all while having a barking good time. Posted in Uncategorized | Comments Off on Making Pet Travel Pawesome! Have we mentioned before that we really love what we do? 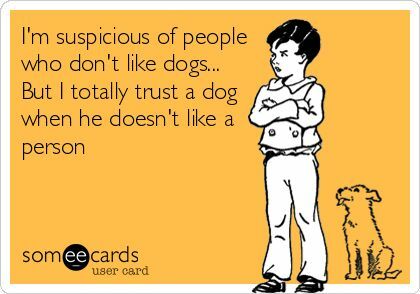 If not, here goes: We love dogs. We love dog parks. We love being able to help improve the quality of life for people and their pets. Seriously pinching ourselves over here. That being said, we also think dog parks are fun, so designing dog parks and pet products is pretty darn fun too. 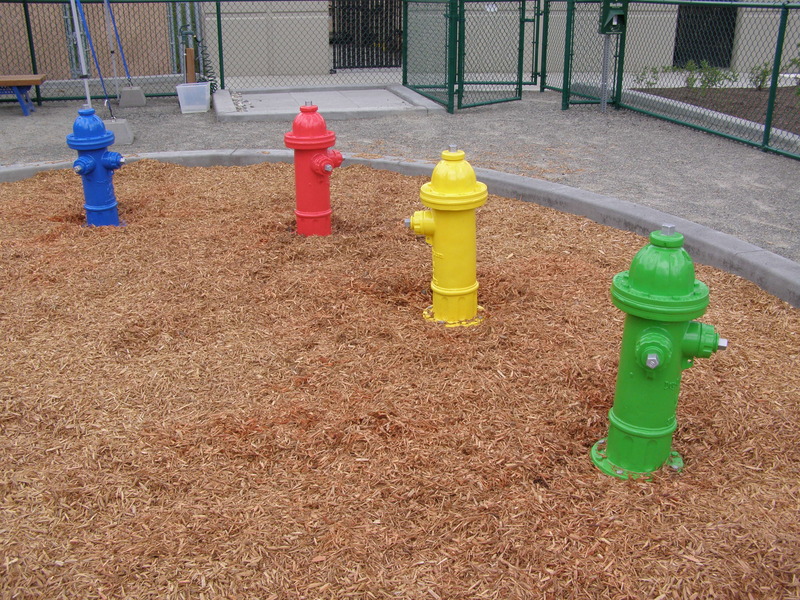 That’s why we launched our “Ode to a Fire Hydrant” poem contest last month. We asked our customers and fans to put on their creative thinking caps, and write some prose about the relationship between a dog and a fire hydrant for a chance to win a FREE custom Fire Hydrant. 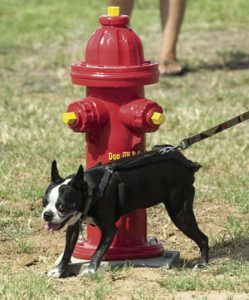 We refer to a Fire Hydrant as the “office water cooler” of the dog park and were curious if there were any other analogies. Sure enough, everyone delivered! Residents with four legs, truly matter too. So our furry loved ones, can enjoy the day. Our fenced in Bark Parks, keep pets happy for awhile. So choose one of our properties, where our furry pets rule. 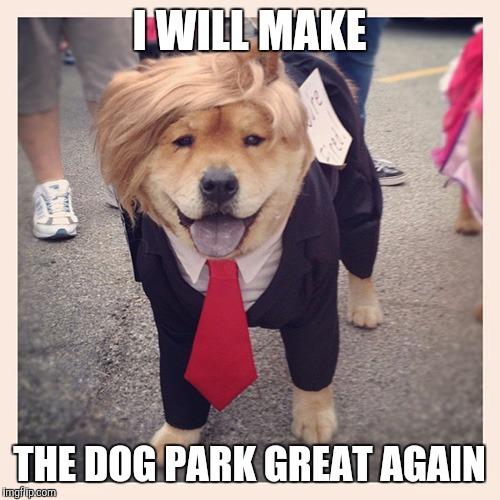 And visit one of our dog parks, which are incredibly cool! I eat, sleep & poo! So I can piddle too! We’d definitely say thank YOU! Just to make our day! Good luck trying to grab. My shoes I must save! If you’d like a chance to win free dog park products, be sure to follow us on social media: Facebook, Twitter, Instagram and Pinterest, and sign up to receive our monthly newsletter! 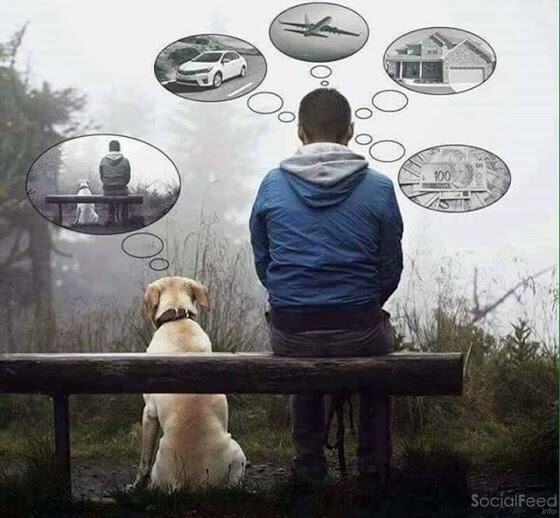 Sitting on a bench next to your dog…what could be better? 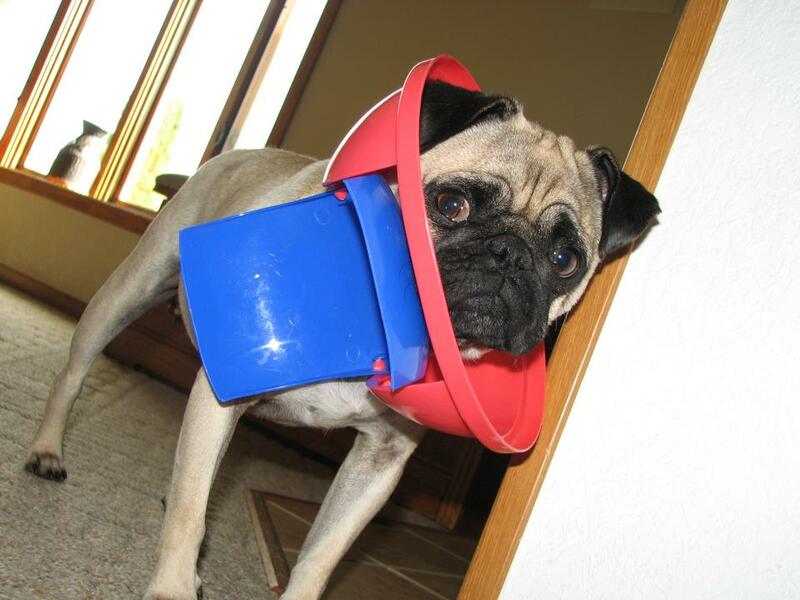 To Fido…nothing! While your mind is on the house and car and kids and work…his mind is on the feeling of being next to you. Just enjoying the casual scratch of his ears and listening to all the sounds and smelling all the smells the world has to offer. 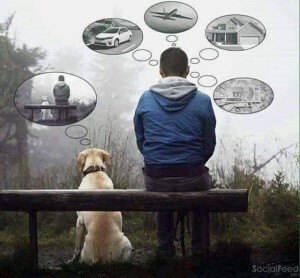 Dogs are incredibly therapeutic; their calming presence reminds us to slow down and their curiosity is a good reminder to appreciate the small things. They love us unconditionally, are pure in their intent (especially if it involves treats! ), and spread love and joy with a happy wag of their tail. Dogs add almost an immeasurable value to the family unit. With childhood obesity becoming an epidemic in the United States, getting a dog could be a way to help your little munchkins stay fit and healthy. 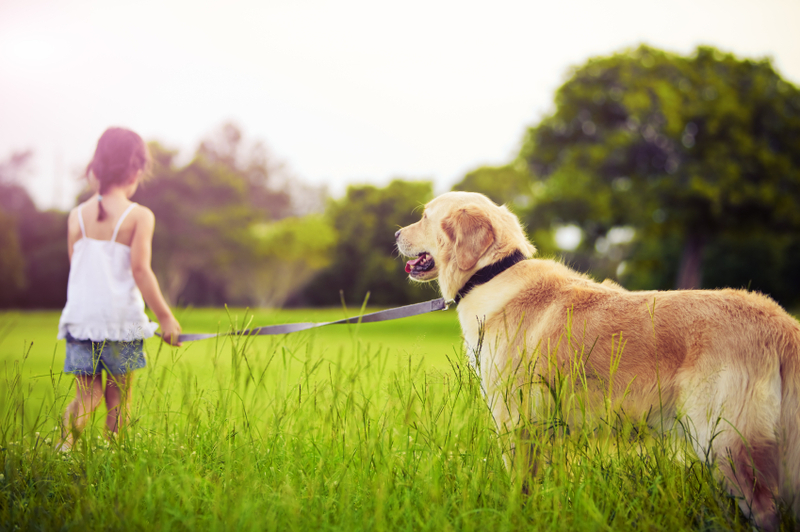 If your child wants a dog that means they will be outside playing with their furry friend and taking their dog on walks, not to mention the regular trips to your local dog park! All of this can mean less time playing video games or watching television, and instead developing new and healthier habits. Pets can also provide a sense of security in a family, especially by “alert barking” when they let you know they’ve heard something out of the ordinary or become protective of you when strangers are near. Many dogs have gone above and beyond to protect the ones they love. There was a recent story of a dog who saved its seven-year-old human from a rattlesnake by allowing itself to get bitten while the girl made her way to safety. Who doesn’t need a hero in their family? Now you don’t have to pay extravagant prices for special pups when you’re looking for a furry friend. 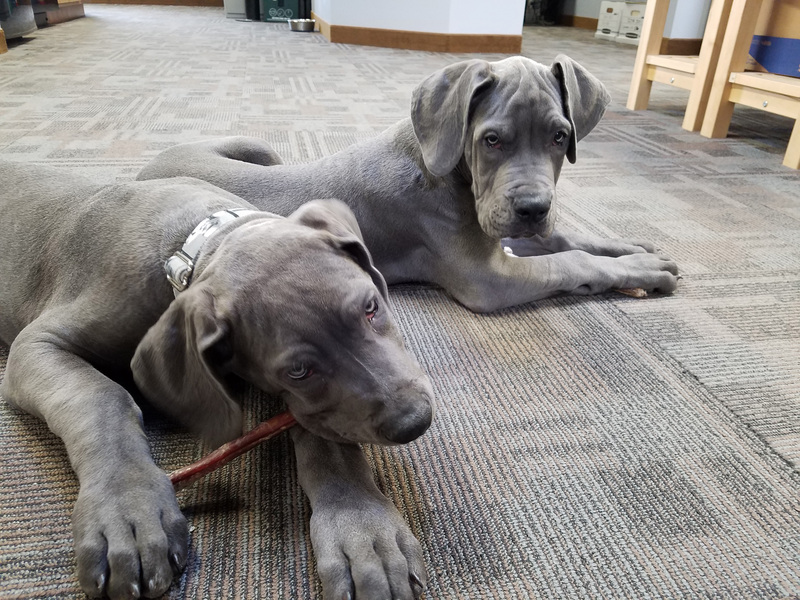 While many people do pick out a breed they are fond of and purchase their pets through reputable breeders, that is not the only avenue. 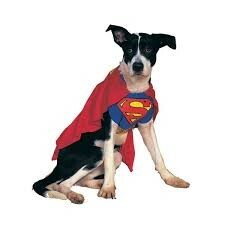 Adopting or rescuing a dog is incredibly rewarding (just ask the guardians of our office dog Rory! ), and you save a life while doing so. Visit your local humane society for more information on the adoption process, as each rescue organization does things differently. It may involve a home visit, a meet and greet with all family members including your current pets, as well as an adoption fee or recommended donation. Here at Dog-ON-It-Parks, we encourage you to take a moment and give your pup a hug…but only if they enjoy it! 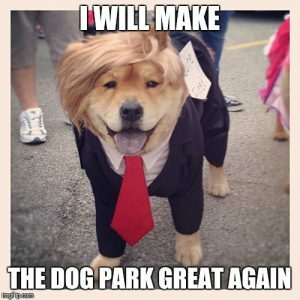 Even better, take them for a walk or visit your local dog park to show your appreciation. Dogs have the ability to enrich and change our lives for the better…that’s what makes them best in show! 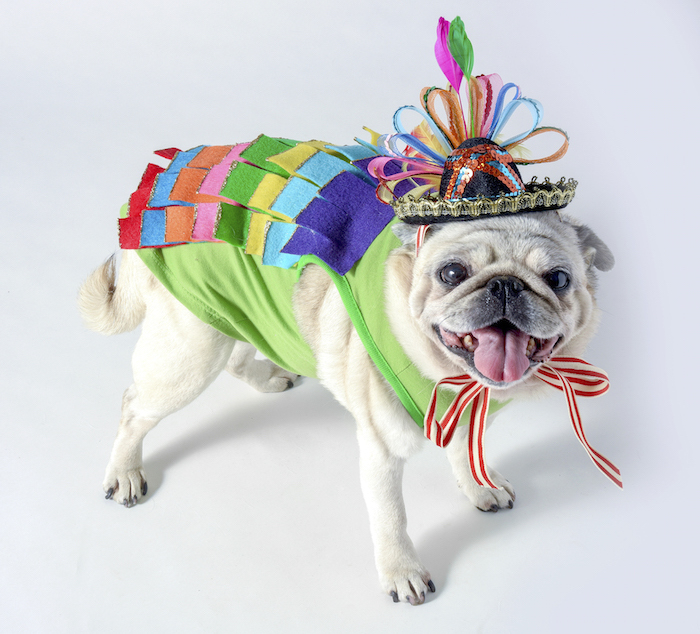 Seattle Pride: Parade with your Pet! It’s that time of year again…Seattle Pride is this Sunday June 26, 2016, so get ready to walk and celebrate the LGBT community! What better way to mark the occasion than to bring your pooch to the parade with you? Here are some helpful tips to ensure you and your pup have a wonderful time this weekend. First of all, remember water! It’s going to be a warm one and it’s important to stay hydrated. We love these lightweight, collapsible bowls from Amazon; they have a handy clip that attaches to Fido’s leash or collar, so you can be (mostly!) hands free. You may also want to plan for dog-friendly places to stop and rest. The parade route runs along 4th Avenue in downtown Seattle, beginning at Union Street and north to Denny Way. Consider popping into Bandits Bar on Denny; it’s small, quaint and the drinks are good! After the parade, there’s a wide selection of pet-friendly eateries including Le Pichet and the Belltown Pub (which has an exclusive menu for your pooch!) on 1st, The Pink Door down in the Market, of course Seattle’s iconic Norm’s in Fremont. There are more attractions for you and your furry friends on this day of celebration! There are some fantastic dog-friendly hotels to stay at while in Seattle, including the Hotel Monaco. Did you know that all Kimpton hotels are pet-friendly? It’s true! 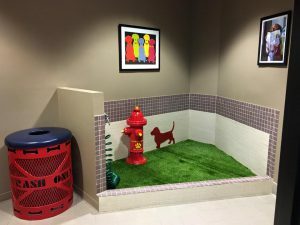 There’s no additional charge for Fido, no size/weight restrictions and they also offer loaner pet beds, water and food bowls, and the concierge always has a handy list of nearby attractions that will welcome both you and your pet. Want your pooch to look it’s best for the parade? Book a pre-parade appointment at Posh Paws groomers. They specialize in a variety of services, including bath, brush, haircuts and more, and offer accessories and toys so Sparky looks his best! 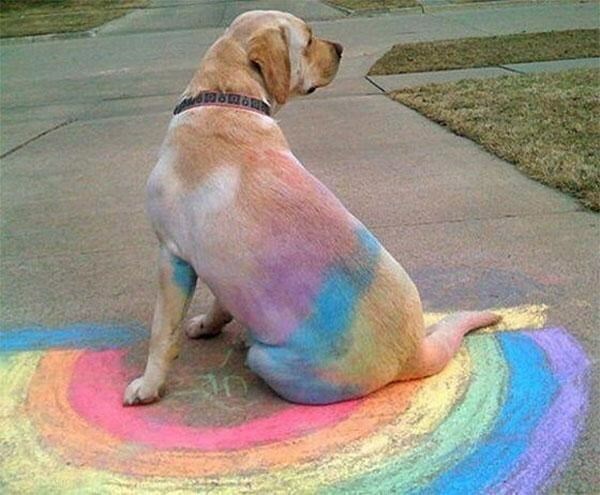 Hopefully these tips will give you some ideas on how to make Pride fun for you and four legged friends! Posted in Uncategorized | Comments Off on Seattle Pride: Parade with your Pet! If you’re a dog, there is nothing better than sticking your head out the window of a car while on a road trip or just a short jaunt. The beautiful smells and the excitement of going somewhere new (or to your favorite dog park!) 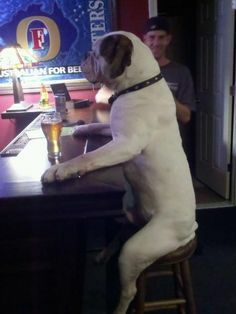 can be one of the happiest activities for your pet. 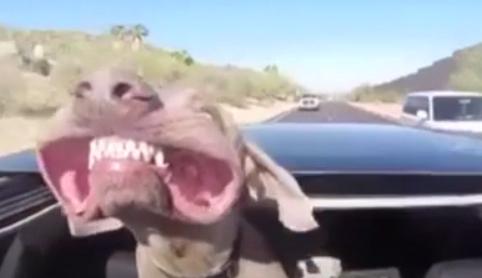 Dogs love going for a ride and you might as well make the experience enjoyable for everyone involved. Here are some pet friendly features you should look for when purchasing a new or used vehicle, or outfitting your current car. Easy access – a hatchback or back door that lifts up so the dog can jump in and out with ease. It also makes things easier for you and your back when lifting a crate in and out of the vehicle! Seats that fold flat are also a good idea because it keeps the seats themselves from getting too dirty. 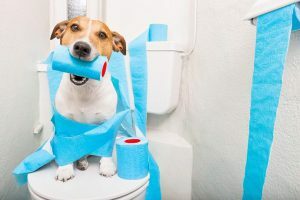 Subaru and Volvo, along with other auto companies offer pet-friendly designs and packages to help keep Fido happy, and lastly affordable seat covers to help keep your car more dog-friendly and less pig sty are never a bad idea. When traveling with a pooch it can be convenient to have a large cargo area to accommodate dogs and supplies, such as spare tires, water/food, leashes, etc. If you’re an owner who doesn’t want your dog in the front seat, looking for a car that comes with a ‘pet barrier’ is ideal or purchase a cargo divider afterwards. Large dogs can be difficult to lift in and out of cars, and you don’t want to hurt your back so a lower to the ground profile will make it easier for dogs of all sizes and ages to climb in and out on their own. Windows, great for rolling down, less great to clean dog slobber off of! However, keeping them rolled down on warm days (remember if it’s over 75 degrees it’s best to leave Fido at home) to provide ventilation and fresh air is must. Another nice option are rear A/C vents or air vents on the seat itself so your doggy can benefit from the cool air on a hot day. Most dog owners know carpet is pretty much a dog hair magnet. Paying a little extra for rubber mats makes a huge difference as does selecting a vehicle with an easy-to-clean interior. If your pooch is smarter than the average bear or has magically grown opposable thumbs, childproof locks are one of the most important safety features as they can help prevent the dog from accidentally opening or closing the window or door. 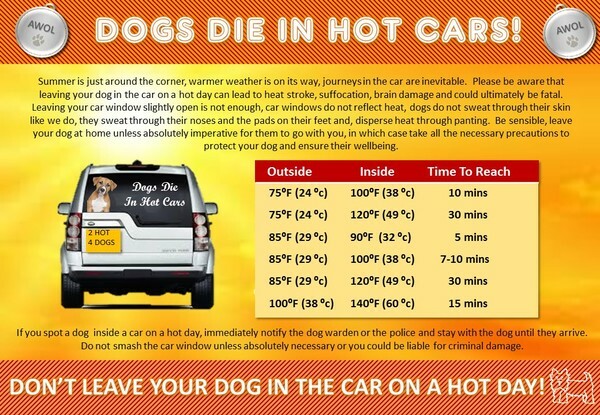 No matter what vehicle you and your pooch are riding in you want to be able to trust that your dog is safe. Some guardians use a padded harness that secures the dog to the seat, however recent studies have shown that they may not be safe as previously thought. One of the safest options is a secured, crash-tested crate in the previously discussed cargo area. Whatever option you choose, the most important objective is to keep your dog safe at all times and that also means not driving with your dog on your lap. 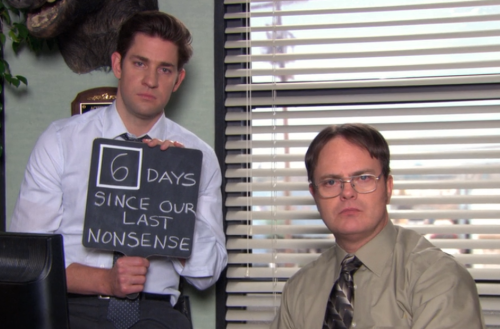 Yep, we said it. Please don’t. It’s unsafe for you, your pup and everyone else on the road. Here at Dog-ON-It-Parks, we’re all dog lovers and seeing a dog happily riding in a car with its tongue rolled over to the side, nose twitching, smelling everything the world has to offer is the best thing ever! 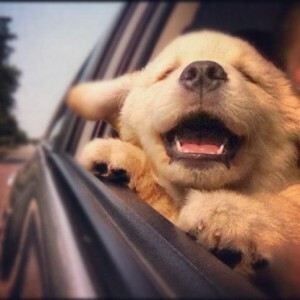 Make that ride as comfortable and as safe as possible with a pet friendly vehicle – your dog will love you for it!